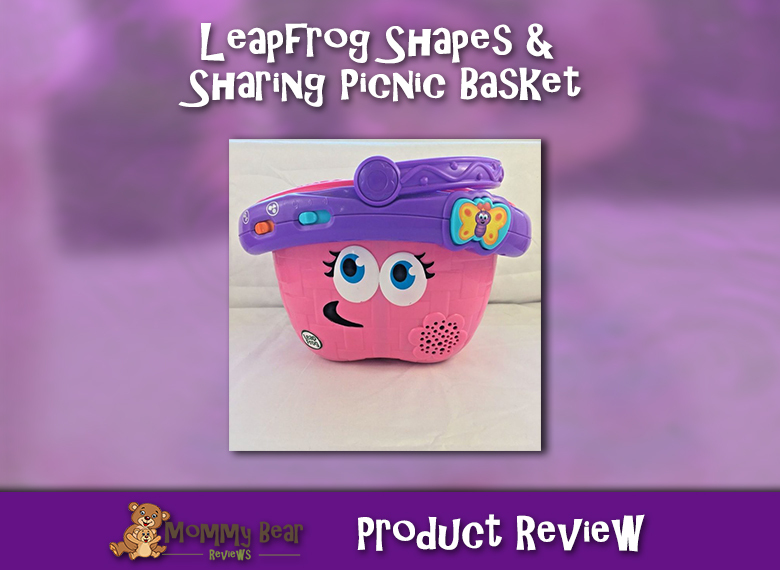 Lately my daughter has been very into her Leapfrog Shapes & Sharing Picnic Basket, and so I decided I would share with you all a little about it! This picnic basket is fun, makes noises when you open and close the basket, and also when you press the butterfly button, it sings picnic songs! My daughter is almost 9 months and enjoys it. Also, to the fact that she still does not have any teeth she likes opening a basket full of different things that she can get her mouth on, that way she won’t get bored right?! We even brought it on a family picnic we had the other day, so although she could not have any of our food due to not having any teeth yet, she still had a little one of her own! Don’t worry for all of you mamas out there already getting driven crazy by all the sounds your kiddos toys’ make, while it might not be quite as exciting, you can turn the sound off and still be a fun picnic! For those of you with those older ones, it is also very educational as Leap Frog tends to be. Teaching shapes, and colors and really I believe is fun over all. I do give this a 4/5 rating. While it is all fun and cool, I have to say I think it would be cool if there were not holes in the bottom of the cups! Sure your kiddos can get real glasses for those glasses of lemonade, but could be fun to try to do a for real picnic, and as kids it might happen once anyway where they try! But overall, a fun product I believe that my daughter will continue to love as she continues to grow and loves it for even more than just teethers! These are affiliate links. You will not be charged any extra for purchases made through the link, and you will earn me a commission to help keep my site running! Join our mailing list to receive the latest reviews and musing from Mommy Bear. 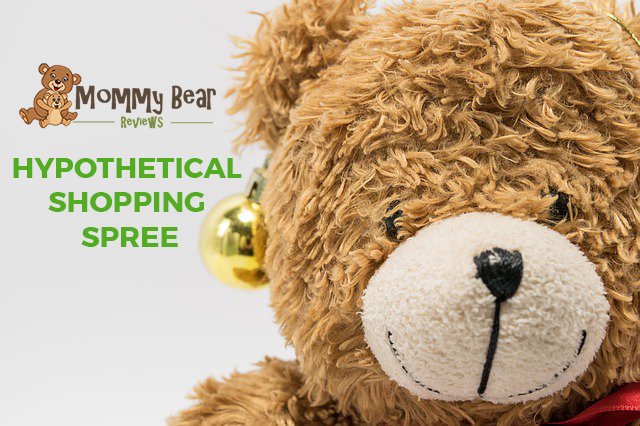 Mommy Bear Hypothetical Shopping Spree!